A heated war of words has broken out between Tokyo and a United Nations expert over a contentious bill that would criminalize conspiracies. That legislation was rammed through the Lower House on Tuesday despite raucous protests. The government should take seriously a stern rebuke issued last week by Joe Cannataci, U.N. Special Rapporteur on the right to privacy, and rethink a hasty passage of the state-backed bill that would pave the way for a police crackdown on preparations for crimes — potentially at the expense of individual rights — opposition lawmakers told the Lower House plenary session in a last-ditch protest of the vote. 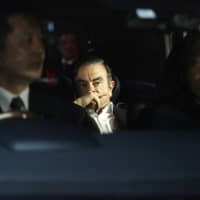 The bill, which will revise the current anti-organized crime law, nonetheless cleared the chamber with the backing of the ruling Liberal Democratic Party and partner Komeito, as well as the conservative opposition Nippon Ishin no Kai. It is now set to be deliberated in the Upper House. The passage came hours after a suicide bomber struck a crowded Ariana Grande concert in Manchester, England, on Tuesday, killing at least 22, including children. Asked about the attack, Chief Cabinet Secretary Yoshihide Suga said the revised bill, which the government considers a prerequisite for Japan’s participation in the U.N.-designated convention against transnational organized crime, would play a key role in defending the country against a terrorist strike. 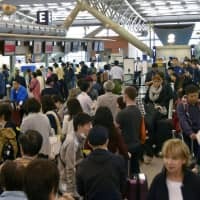 But in a letter dated Thursday addressed to Prime Minister Shinzo Abe, Cannataci expressed concerns over “the risks of arbitrary application of this legislation,” which he said could impinge on the right to privacy and other fundamental civil liberties. The envisioned law’s definition of what would constitute the “planning” and “preparatory actions” remains vague, he said, and yet its coverage extends even to crimes unrelated to terrorism and organized crime. “The allegedly expedited process used to push (the) draft law may have a detrimental impact on human rights since the fast-tracking of legislative procedures unduly limits broader public debate on this crucial matter,” Cannataci said. On Monday, Suga responded by blasting the U.N. official’s statement as “clearly inappropriate” and flatly ruled out the possibility of the law being arbitrarily enforced. 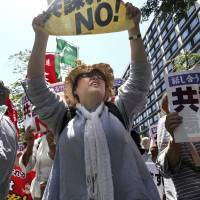 Tokyo, the top government spokesman added, had lodged a “strong protest” with Cannataci. This claim, however, is “utterly wrong, factually incorrect and misleading,” Cannataci said. 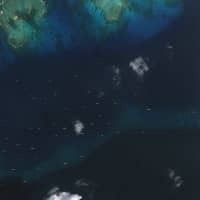 That Japanese diplomats went to the office of the U.N. High Commissioner for Human Rights in Geneva and met with its senior officials in order to protest is “ample evidence of the fact that some members of the Japanese Government are perfectly aware that I was and am acting in my official U.N. capacity and not in a personal capacity,” he said. 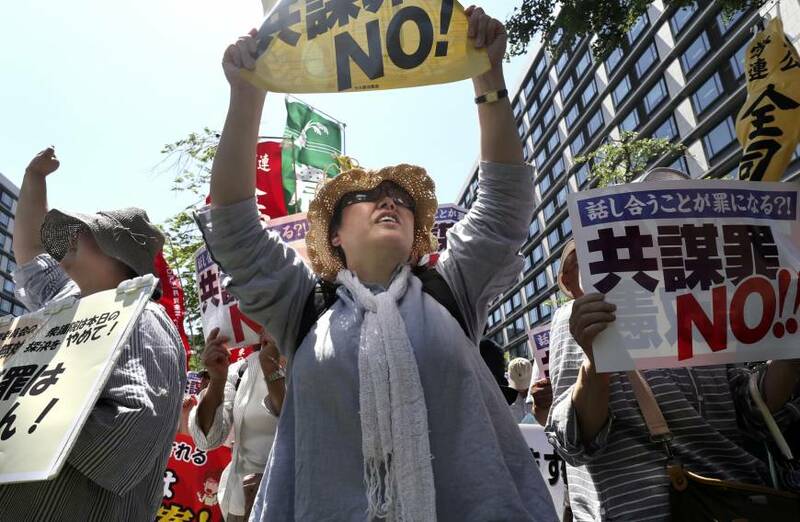 The government’s stance on the legislation has also stoked the anger of rights lawyers in Japan. 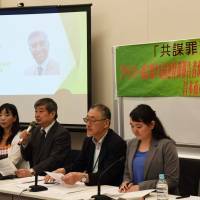 Suga’s apparent disregard for the U.N. expert’s assessment is an “embarrassment to the international community” and “a product of incredible ignorance,” human rights lawyer Yuichi Kaido told a news conference ahead of the vote. 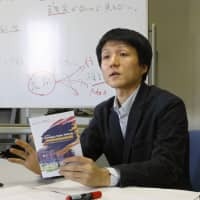 This sentiment was echoed by lawyer Kazuko Ito, who said Suga’s comments run counter to the nation’s promise it made while campaigning for membership in the U.N. Human Rights Council last year. 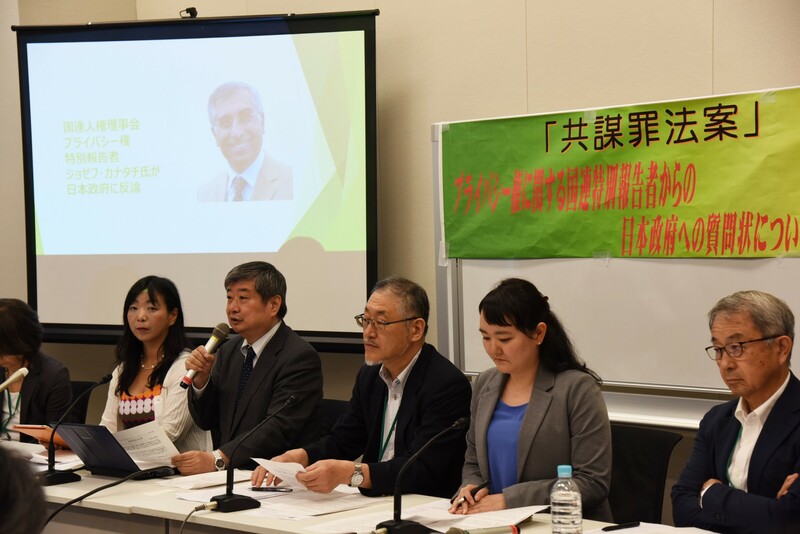 During the campaign, Japan vowed to “cooperate fully to realize meaningful and constructive dialogue with Special Rapporteur.” It was successfully elected to the panel in January as a result of a platform that included the pledge.